Amethyst stone has long been valued as stone ornaments and amulets. Most often used in ancient times to prevent alcoholism. The word amethyst comes from the Greek word amethystos, which means “non-intoxicating”. This stone has a long history associated with religious practices. In the Egyptian “Book of the Dead” is a description of how heart-shaped amethyst stone is placed on the body of the deceased. Chaldean magicians have used the stone to protect against evil witchcraft and to bring success and luck. 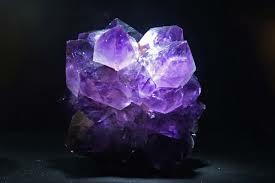 Amethyst stone also helps to understand the hidden knowledge. In China, the stone was given to people involved in lawsuits, as it was believed that it would help the favorable outcome of the case. Amethyst stone is mined in Brazil, Uruguay, Bolivia and Argentina, as well as in Zambia, Namibia and other African countries. In general in South America are produced larger stones, but they are lighter in color. In Africa, the stones are smaller, but are much more saturated color. Very dark amethyst stone in small sizes is produced in Australia. 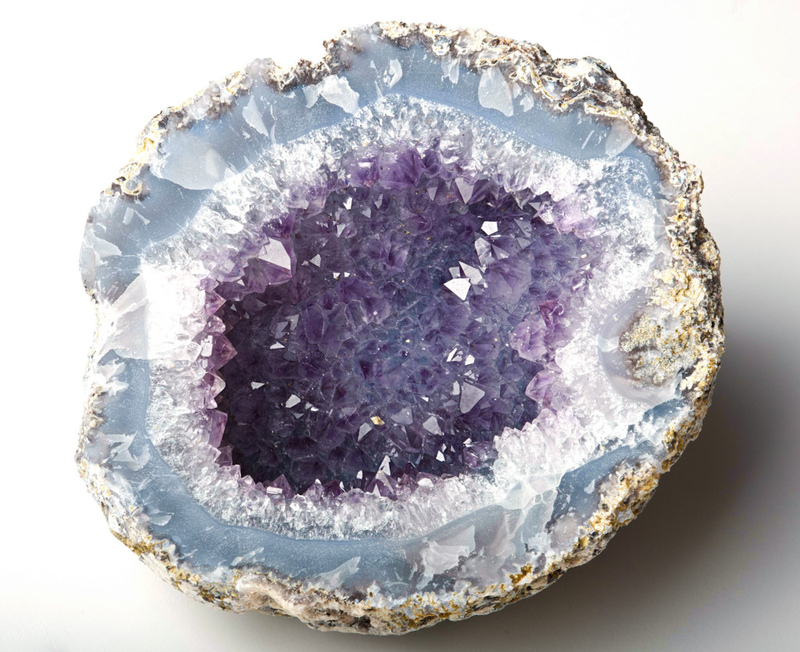 Placed on 7th crown chakra during meditation, amethyst stone increases concentration and increased confidence in life. Amethyst stone is considered a stone that purified 7th crown chakra. Many people hold amethyst at its other stones to enhance their effectiveness. Amethyst stone can be carried in a pocket and should be rubbed several times a day to increase your energy. It can be worn as a necklace neck, but the stone should be against your skin. Some people put it under the pillow when they suffer from insomnia. Amethyst stone is known as the stone of “spirituality and contentment” has a calming and relaxing effect on people and promote healthy sleep habits when placed on the body or under the pillow. Amethyst helps to control negative thoughts and gives us insight into business affairs. Stone opens the door to spiritual experiences and can protect its owner from black magic. It is known as the stone of change and can bring any kind of change in your life. It helps to overcome old emotional wounds and strengthens the psyche. Amethyst stone is a crystal that is mandatory for all healers. Single crystals are very useful, but when they are more than one become more powerful. Helps relieve migraines and headaches caused by nerves. It is also used to improve concentration. Amethyst soothes mental disorders, purifies the blood and strengthens the immune system and balance the chakras and heal all. People who regularly wear amulets or necklaces with this stone enchant others with their personality and charisma. Amethyst stone attracts justice and protect your home from thieves. It also repels the danger of violent death. Amethyst increases the activity of the right hemisphere of the brain and helps the development of mental abilities. It strengthens and develops intuition, inspiration and aspirations to reach a higher spiritual level. If you tarot cards or runes, put a little piece of amethyst stone in the place where holding them to save their strength for divination.